The ASEAN HR Tech Venture Summit is set to be held on October 18-19 at Shangri-La at the Fort, Bonifacio Global City. The event will gather ASEAN business leaders, movers and shakers to discuss the gaps between HR and technology, insights on the current human capital trends and more. Aside from covering topics on HR Technology, this year’s summit will also discuss points on Venture Business, making this conference the first of its kind to delve into this subject. The conference will feature 5 themed tracks: Technology, Legal, M&A and Venture Business, and Corporate Brand for CEOs. Highlights of the summit will include a comprehensive update on the state of HR in the Philippines and other Southeast Asian nations, including how technology is being adopted into the process. Other highlights focus on the shift of HR from traditional to agile, a case study on the failure of a Merger and how Corporate HR can drive a successful post-merger integration, and more. The ASEAN HR Tech Venture Summit will be graced by speakers and a panel of global entrepreneurs, business leaders and corporate from all over the world. Women Empowerment Advocate, Businesswoman, Brand Strategist and Marketing Consultant Morena Carla Cabrera and Founder and CEO of Intentional Work Communities, Inc are set to present award-winning case studies. Other speakers include Philippa Penfold of People Wave, Vaclav Koranda of T-Systems Malaysia, Ricardo De Lima of Leaf Capital partners, and over 30 other speakers and panelists with expertise in the field. The summit is a 2-day event that is be filled with learnings and insights straight from industry leaders. For more information, the full list of speakers and panelists, and to purchase tickets for the ASEAN HR Tech Venture Summit, visit https://aseanhr.org/event/asean-hr-tech-venture-summit-2018/. 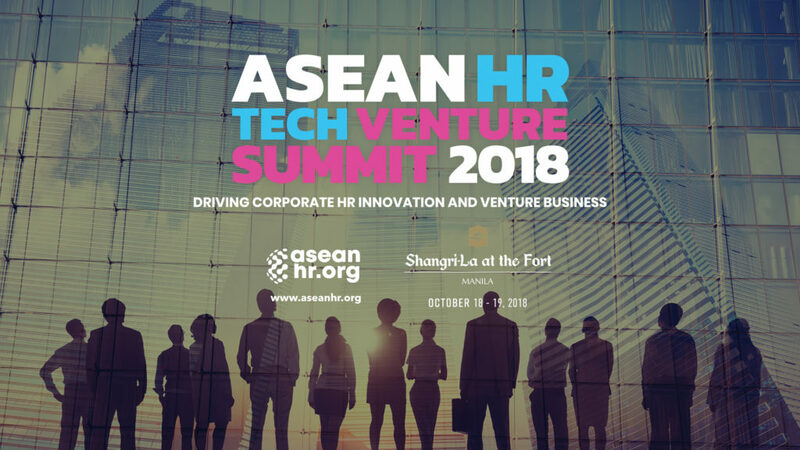 The ASEAN HR Tech Venture Summit 2018 is presented by ASEANHR.org, with support of Turkish Airlines, Air Juan, AXA, iSkin, Anya Resort, Kalibrr, Jobstreet, Sync for Success, Storm, ARIVA, Diplomazee and Harper and Hill.